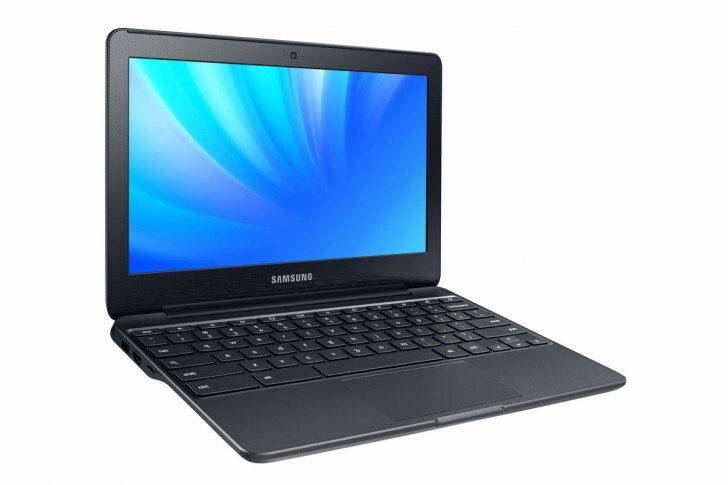 Samsung revealed the Chromebook 3 at CES 2016, boasting 11 hours of battery life on a single charge. The latest chromebook by the company is made out of reinforced metal, which Samsung says makes it durable against drops and spills. The Chromebook 3 is equipped with an Intel Celeron N3050, 16GB of storage, 2GB of 4GB of RAM as well as 802.11ac and Bluetooth 4.0. The screen is a 11.6" panel with a 1366 x 768 resolution. There's a microSD card slot for memory expansion, as well as HDMI, one USB 3.0 and USB 2.0 ports each. The whole laptop weighs just 1.14 kg (2.53 lbs). Samsung will officially announce pricing and availability in the coming weeks. There are tablets out there with better specs than this. Well, at least this comes with a keyboard and will (probably) be cheaper than those tablets.